• Impact of Aurizon’s loss of Glencore rail haulage contract will be felt most greatly in Hughenden with the loss of 26 train drivers based in the town. 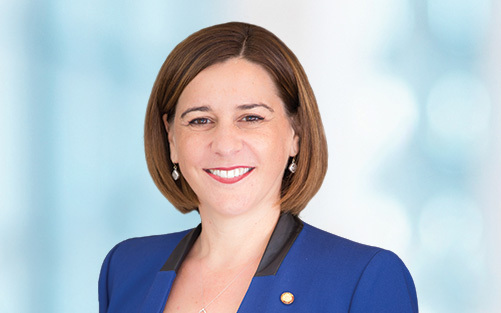 Deputy Opposition Leader and Shadow Minister for State Development Deb Frecklington is calling on Labor’s Minister for State Development Anthony Lynham to help Hughenden in the wake of Aurizon’s rail haulage contract loss. Ms Frecklington said while the impact of job losses across the region would be significant, the biggest impact would be felt at Hughenden, where 26 Aurizon train drivers were currently based. “The region has just been through a disastrous four years of drought and now it’s being hit again with substantial job losses,” Ms Frecklington said. “If the equivalent amount of job losses were taking place in Brisbane, there would be 47,000 people out of work, that’s how much this announcement will affect Hughenden. “I have personally spoken to Flinders Shire Mayor Jane McNamara who is extremely worried about the effect this will have on the Hughenden community and economy. “On behalf of the Hughenden community, I am calling on the Labor Government, in particular the Minister for State Development Anthony Lynham to consider what can be done to support Hughenden through this very rough time and into the future. “I’m asking the Palasczcuk Government to seriously consider increased water allocations from the Flinders River for irrigated agriculture – and an urgent funding injection for local roads. “There’s also immediate work that can be undertaken in regional control of prickly acacia to the productivity of grazing country.